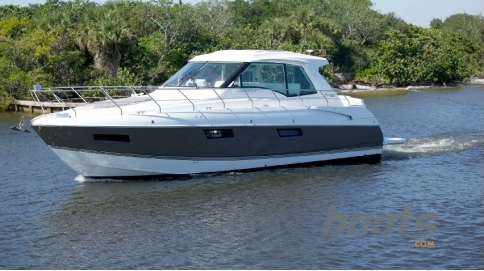 This Cruisers 330 Express is a classy, luxurious cruiser that will make a statement wherever she roams. 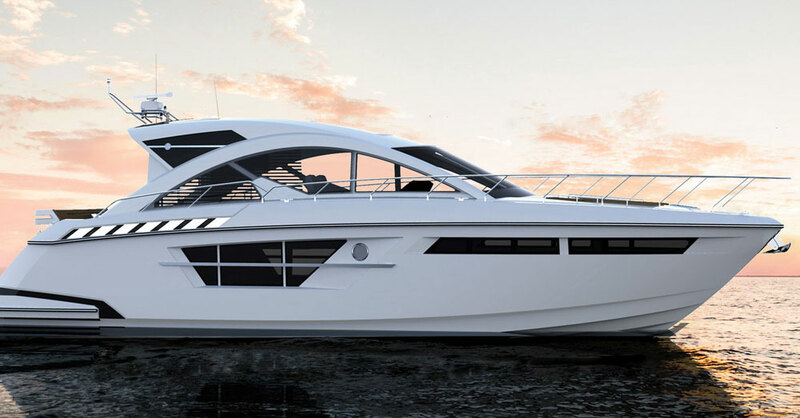 Equipped with all the customary amenities for transportation and accommodation the owners of such vessels expect, she is an island of comfort and performance that will convey her charges with speed and elegance to whatever destinations beckon... assuming she alone is not destination enough. 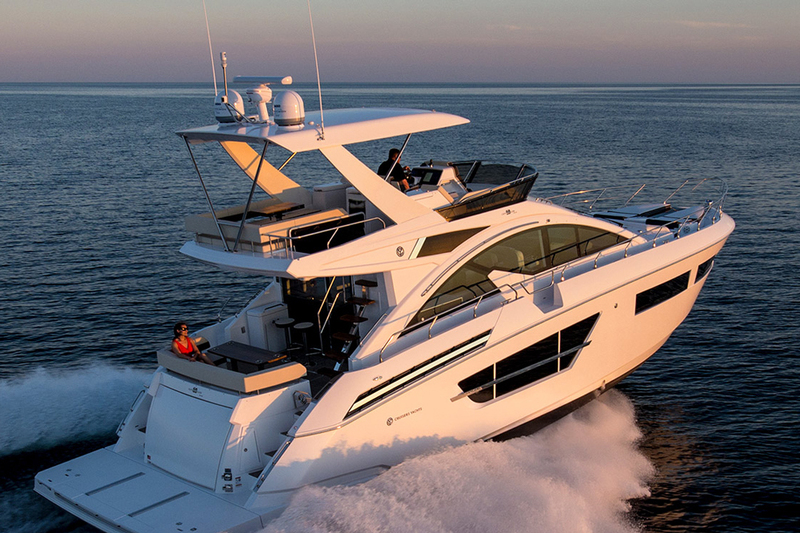 Multiple berths, spacious and elegant furnishings and cabinetry along with the fit, finish and joinery are all features to which Cruisers owners have become accustomed, which is why brand loyalty is among the highest in the industry. The large, airy cockpit has ample wrap-around seating for significant parties while at rest or underway, the fridge and wet bar obviating the need to go below for a refill. At the helm, the captain has an excellent view of the situation upon the operations of the vessel, both external and internal, the modern, ergonomic console design putting all information and control within easy sight and reach. Finally, the powertrain, environmental and service systems, such as the generator, air conditioning, and domestic water are of proved design and provide extra confidence and comfort when one is adventuring off-grid or to unfamiliar or less civilized ports of call, a familiar piece of your own home when away from home, or for entertaining guests wherever you are. 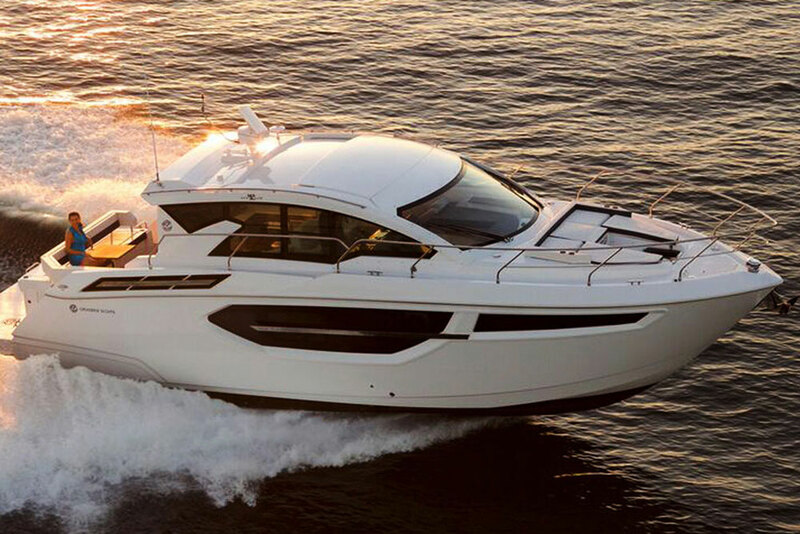 Other inboard and sterndrive engines available in gas and diesel configurations. 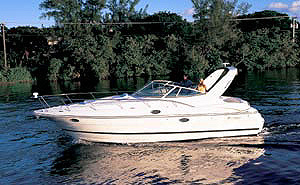 Base diesel engine is 2x260 hp.